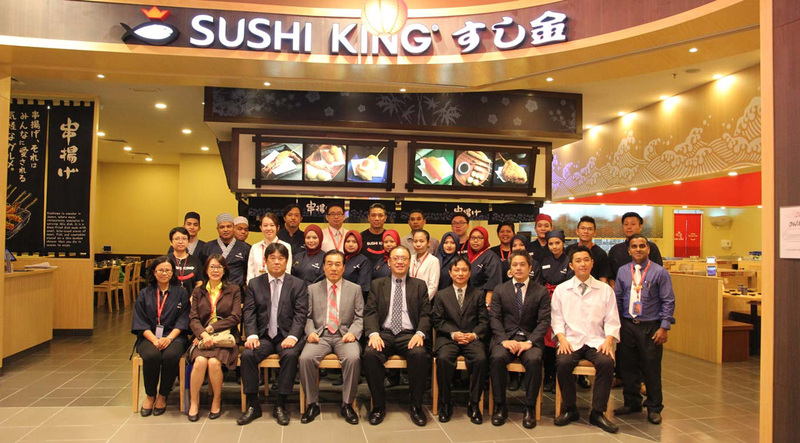 Sushi Kin Sdn Bhd was established in 1995, introducing sushi on the kaiten (conveyor belt) to Malaysia through its well-known brand, Sushi King. This chain of restaurants serves quality sushi and other Japanese cuisine at affordable prices in a warm and friendly environment. What sets Sushi King apart is the personal touch of serving freshly made sushi on the kaiten for customers to pick up and enjoy. From a single outlet in Kuala Lumpur, Sushi King has expanded to 100 outlets and counting throughout the Klang Valley and even covering nearly every state across the nation, making it the largest Japanese kaiten concept chain of restaurants in Malaysia. Sushi Kin Sdn Bhd is a member of the Texchem Group of Companies, being one of over thirty five subsidiaries under Texchem Resources Bhd (Texchem), a Malaysia-based multinational, listed on the main board of Bursa Malaysia. Texchem has four core business divisions - Restaurant Division, Industrial Division, Food Division and Polymer Engineering Division.